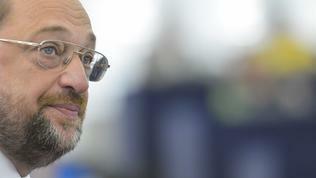 The European Parliament, under the leadership of German socialist Martin Schulz, hardened significantly the tone on some key for the European Union issues - security and common budget - and it seems that these are not going to be isolated actions. The Parliament not only wants but demands its enhanced role under the Treaties to be respected. This is visible quite clearly by the short but instead very rich resolution, which the European Parliament voted on June 13 with regards to the negotiations on the multiannual financial framework of the EU for the period 2014-2020. "[EP] Strongly demands that political positions agreed by the European Council be negotiated between Parliament and the Council, as represented by the General Affairs Council, before the Council formally submits its proposals with a view to obtaining Parliament’s consent on the MFF regulation pursuant to Article 312 of the Treaty on the Functioning of the EU (TFEU); stresses that the negotiations on the legislative proposals relating to the multiannual programmes will be pursued under the ordinary legislative procedure and will be finalised once an agreement on their financial envelopes is reached; is determined to make full use, as appropriate, of its consent and ordinary legislative powers, as enshrined in the Treaty". As always, the negotiations on the common European budget are tough but now they are additionally complicated by the fact that they are organised under a new procedure and in fact the European Parliament has new powers in terms of the budget. And also for the fact that the negotiations are taking place in an extremely tough situation for the EU itself - the eurozone crisis is inflaming with new strength, forcing leaders to think of even greater deepening of the integration processes. Tension is getting stronger also by the fact that the topic is expected to be discussed by the EU leaders at their summer summit on June 28-29 in Brussels, where there will be some changes - the new Greek prime minister Antonis Samaras will appear for the first time at a European Council. This council will be the first formal one for French President Francois Hollande. He made a debut at the informal dinner recently but this is not as big a challenge for his political skills as is a formal summit. Obviously, having in mind these facts, the European Parliament and the Commission united their efforts and put some more pressure. 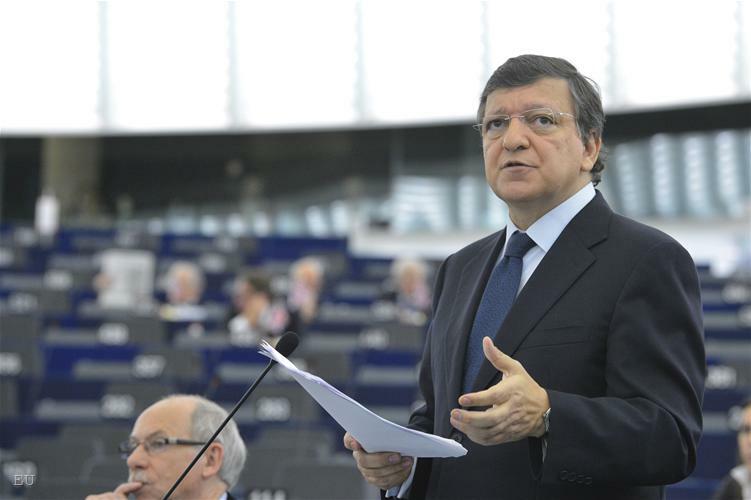 In the beginning of the debates on June 12 in Strasbourg Jose Manuel Barroso, the European Commission chief, announced that the EU was in a defining moment for the European integration. "We are now approaching the phase when the big strategic questions will be considered. While figures matter, we first need a serious look at design, modernisation and simplification, and added value of the budget. In this, the Commission shares plenty of common ground with this Parliament, which will adopt a resolution tomorrow. We will continue to press for Parliament's early involvement in the negotiations, as the outcome will have major implications for the Union's ability to generate growth, to demonstrate solidarity and to deliver on its common Europe 2020 objectives", Mr Barroso said. He added that he was aware that the negotiations would not be easy but pledged: "we are defending – and will continue to defend - our proposals very robustly". The Commission's big battle is to keep within the framework its ideas for a reform of the system of own resources and to keep the size of the Cohesion Policy. In his words, in many member states the EU funds are the biggest and most stable source of public investment. Since 2009 the Cohesion Policy has had a 97% share in the overall public investments in Hungary, 78% in Lithuania and over 50% in Poland. 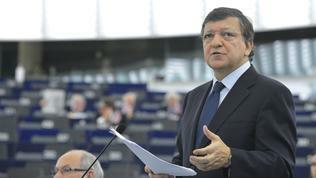 "What would the situation be in these countries without the contribution of the European budget? It has provided stability in times of crisis, but also flexibility in times of need", the European Commission president asked rhetorically. 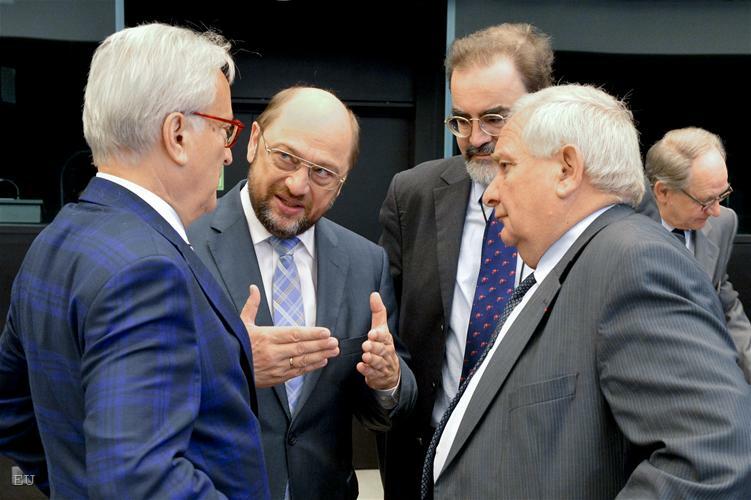 The Commission is under pressure mainly by the northern member states of the EU to cut its proposal by 100 billion euros and thus reduce it to its current size of a bit less than 1 trillion euros. Barroso's argument, however, is that the common budget is only 1% of the gross domestic product of the Union and a little less than 2.5% of all public spending in the EU. "A cut of the Commission's proposal by "at least € 100 Billion" over the 7 year period, as some Member States propose, would have an effect of 0.084% of the EU GDP on public finances and deficits. This is an amount that certainly does not make or break sound public finances in Europe!" 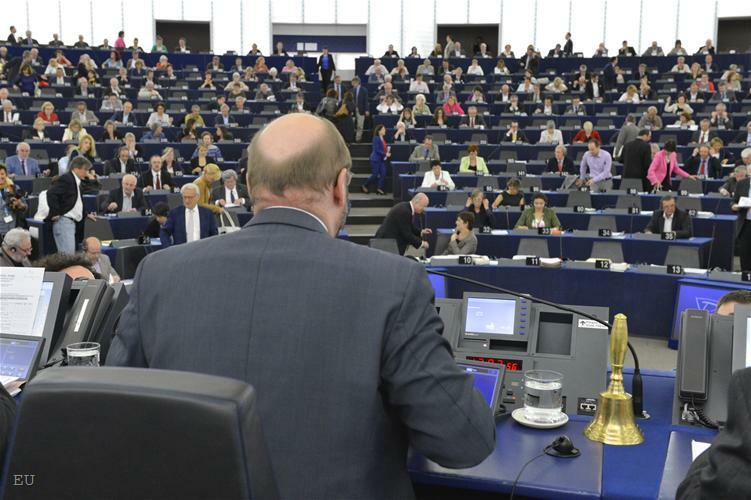 And if the European Commission is relatively mild in its speech and tone and is ready for a dialogue, the resolution of Parliament on the issue, voted on June 13, speaks of a much higher degree of determination. Moreover, the document suggests a transformation of the EU budget into a real budget. Under the Treaty the budget is purely an investment tool, which cannot end up with deficit. The unspent money is being returned, according to specific procedures, to the member states. But with its resolution, the parliament insists for reform: "In view of the macro-economic environment and the challenges of the changing world and with a view to better and more efficient use of the EU funds, insists that the MFF 2014-2020 must provide enhanced budgetary flexibility both within and across headings, as well as between financial years within the MFF, in order to ensure that budgetary resources can be appropriately aligned with evolving circumstances and priorities". The parliament is relentless also on the issue of own resources. Yet last year MEPs announced that the budget would not pass unless the proposed by the Commission own resources were included - financial transaction tax and a new base for calculation of VAT revenues. In an interview with this website Ivailo Kalfin, a socialist MEP (Bulgaria), who is one of the two representatives of the European Parliament in the negotiations with the Council, said that this was one of the issues which was hard to predict whether a breakthrough in the negotiations was possible. He recalled that in the Lisbon Treaty it was stipulated that the EU budget should be based on own resources but many of the member states, which are against, argue that the contributions through national budgets were also own resources. Ivailo Kalfin insists that in fact the own resources, like FTT, would have a great contribution for the national budgets. He estimates that Bulgaria would save some half a billion levs per year. Practically, he said, the budget costs every European citizen 68 cents per day that return to them. A claim, which was contained in his statement during the debates in the plenary on June 12. To the question whether this was not too a simplistic approach to the issue, he said that the European budget was 44 times smaller than the sums of national budgets in Europe. He quoted a research by Poland, which says that for every euro invested in Poland under the Cohesion Policy 67 cents return to the old member states in the form of equipment and labour. (you can watch the entire interview with the MEP in the video above). The expectations for the upcoming European Council are for the first time money to be discussed regarding the budget, although this is an aspect raised several times during the negotiations so far. The Parliament and the Commission insists the headings and priorities to be agreed first and then to talk about money but several member states, led by Germany, stick to their position that the general amount should be negotiated first and then what to spend the money for. 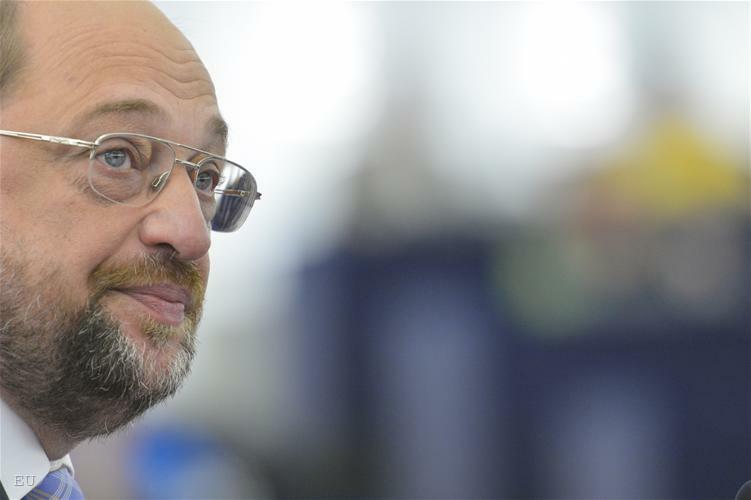 After this sharp resolution of Parliament, however, we will be looking very much forward for the traditional news conference of President Martin Schulz (of the European Parliament) after his part in the summit. euinside: Hello Mr Kalfin, thank you for your time. I think that you participated for the first time in an informal General Affairs Council regarding the negotiations on the multiannual financial framework 2014-2020, what is your impression, is the situation such a stalemate? Is there a chance for a breakthrough in the negotiations? Ivailo Kalfin: There is, which is why we participated. I know the council from the time when the previous framework was being adopted - I participated precisely in the General Affairs Council and even some of the ministers are colleagues I worked with back then, so I know the two points of view. Indeed, it is the first time the Danish Presidency did so that the European Parliament representatives had a direct participation in the council. There was a major message we had to deliver and I think it was understood. It is that under the Lisbon Treaty the parliament has a function of its own in the adoption of the budget and the council cannot endorse, well it can endorse whatever it likes but it is not a legislative body and cannot take a decision without consulting it with Parliament. This is an issue of principle to which we stick and I think that this message was very well understood by the ministers and was even supported by some of them. euinside: In other words, you think that there is a possibility for no more disputes at least on this point? Ivailo Kalfin: There will be more disputes for sure. Until now the financial framework was agreed through a totally different procedure. Generally, the member states agreed on something, even some call it an oriental market - what was happening then - and in the end the parliament had to face the facts. Now, not only under the Lisbon Treaty we have new functions but the parliament is determined - this can be seen in the resolution we voted as well - it is absolutely determined with huge majority to defend its institutional powers. The parliament will be part of the negotiations on the financial framework! euinside: One of the points of conflict is the issue of own resources - the parliament insists on it very much but as you know there is no unanimity in the council on that matter. Do you think there is a chance for a breakthrough on this issue? Ivailo Kalfin: This is one of the issues which I find difficult to forecast but we insist on it not for a caprice but because the Lisbon Treaty says that the EU budget is based on own resources. The Commission has made two proposals - for the financial transactions tax and for another base for calculation of the revenues from VAT. This has to be clearly stated - this does not make the European budget bigger. This does not mean new taxes and more money for the European institutions. This means more stability and transfer of revenues over the own resources and if the idea of FTT is comprehended this would mean a huge contribution to the national budgets - not the European one but the national budgets. I will give you an example with Bulgaria - we would save some 170 million euros of contribution and another 70-80 will be the direct revenues, which means something around half a billion levs per year a positive net effect on the Bulgarian budget. euinside: A thesis that you defend is that in fact the budget, as a size, costs a coffee per day for every citizen. Isn't this a bit, how to say it - too simplistic an approach to present the value of the budget? Ivailo Kalfin: In a way it certainly is but the budget is an instrument for achieving political goals and this is why it must be understood - many people, when they hear 'budget', they say 'this is too complex, this is boring and is accounting'. 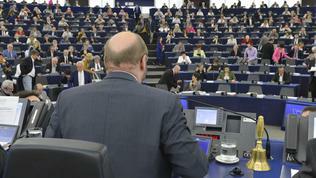 There is no policy in the EU that can be implemented without proper funding, which is why various numbers can be quoted but the European budget is around 44 times smaller than the sums of the national budgets in Europe and in fact for the half a billion people it really costs 67 cents a day, against which every European citizen expects gains. euinside: But there was criticism, especially in terms of Greece, that so much money were absorbed from the budget, not the bailout programmes, and the result is zero - we know where Greece is at the moment. Ivailo Kalfin: I agree and here the parliament is ready to speak very actively about the quality of spending. By the way, this is good to be discussed in Bulgaria too - it is not important only how much money we will get and whether we will get the money, allocated in the European budget, but it is also important what we will be spending this money for, whether this would lead to a real change for the business and the competitiveness of the country. The aim is not to spend some money because it is not endless. So, the quality of spending is something we are ready to discuss and to insist on higher quality. But to put into question the entire Cohesion policy so far I disagree, moreover, it should not be taken purely in an accounting way - how much money it is. Poland has made a calculation that from every euro invested in Poland under the Cohesion Policy 67 cents return in the old member states in the form of buying equipment, work, etc. By the way, in the Polish case 52 of these cents, meaning half of the money, go to Germany. euinside: This is true but Poland is a very good example of absorption, while Bulgaria isn't. Ivailo Kalfin: True but I have something else in mind - the money from the Cohesion Policy is to the interest both of the beneficiary country and all the other member states, which has to be clear to everyone. I agree with you that it is very important how these funds are absorbed and how do we make our country more competitive. We have a lot to learn from Poland, we lag very much behind. euinside: OK, last question in an entirely different area. 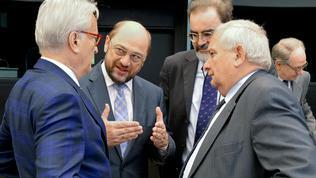 Today [June 14] the European Parliament has come up with a declaration, with which it practically declared a war to the council with regard to the reform of Schengen. How do you see these developments? Do you think that they can have an impact on the negotiations on other topics between the council and the parliament? Ivailo Kalfin: Of course it can and in fact the conflict is very sharp - as with every war no one knows who started first. I'd say that by an absolutely scandalous decision of the council of the internal ministers the entire legislative foundation of Schengen has been replaced and that of the common migration policy, and of a community policy of the EU it has been turned into an intergovernmental policy which changes an awful lot of things. What the internal ministers have practically decided is that, ultimately, everyone is responsible for their own territories and there is no common European responsibility nor common European efforts for protection of borders. In the case of Bulgaria we are an external border. What will happen if what the ministers decided is implemented in practise? Because the ministers have practically asked to reinstate national borders. But then Bulgaria will be flooded by emigrants who have no way to go to Europe and cannot return because we have not signed a readmission agreement with Turkey. I think that if this is to take time Bulgaria should reconsider its application to join Schengen at this stage. I entirely accept the position of Parliament. It says that Schengen is a community policy, that all member states have a commitment to protect the borders, a financial commitment, a political commitment and this is a common topic which has to be defended by the European institutions. 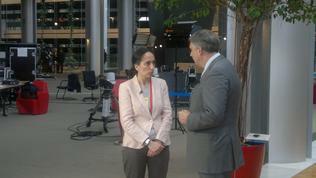 euinside: Do you think that this issue sends another signal - which is that Europe is indeed starting to disintegrate? Ivailo Kalfin: This is another attempt, unfortunately not the only one, for a transfer of community policies or policies that have to be decided by the European institutions generally for the EU, on a state level and this is to a large extent under the pressure, including for Schengen, of far right ideas in Europe which insist on a very constraint migration policy, for closure of borders and ultimately for every country to handle its own problems. This is not the better way - no country, not even those which are in good shape, can handle successfully their problems without the EU together. This policy simply leads to very bad results.